Can rural Minnesota do multimodal? You betcha, says a new study by University of Minnesota researcher Carol Becker, who compiled 65 examples of innovative multimodal rural and small urban transportation projects from around the United States. The city of Olympia, Washington, was mostly built during the automobile era. As a result, most of the city developed without sidewalks. In 2004, Olympia passed a voter referendum that linked enhanced parks with adding sidewalks throughout the city. The referendum was supported by parents who wanted safe routes to school for their children and by environmentalists who wanted alternatives to driving. But the key to voter approval was linking recreation at parks with recreation walking to and from the parks. 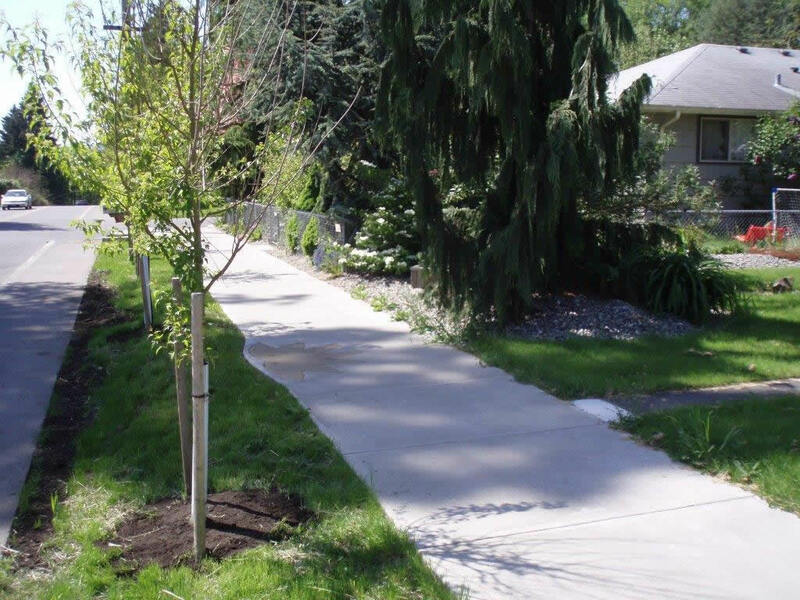 The Parks and Pathways program is now retrofitting miles of sidewalks into neighborhoods. A sidewalk that was built using utility tax funds on San Francisco Avenue in Olympia, Washington. North Dakota has the third-lowest population density in the United States. Despite this, it has a network of buses that connect small towns to larger regional centers. Such alternatives to driving allow residents — particularly elderly and disabled persons — to stay in their communities rather than move to large cities to access needed services. A nonprofit in Mesa, Arizona, implemented a program to reimburse eligible seniors for car trips provided by other individuals. The program was moved to the regional transit provider for expansion. 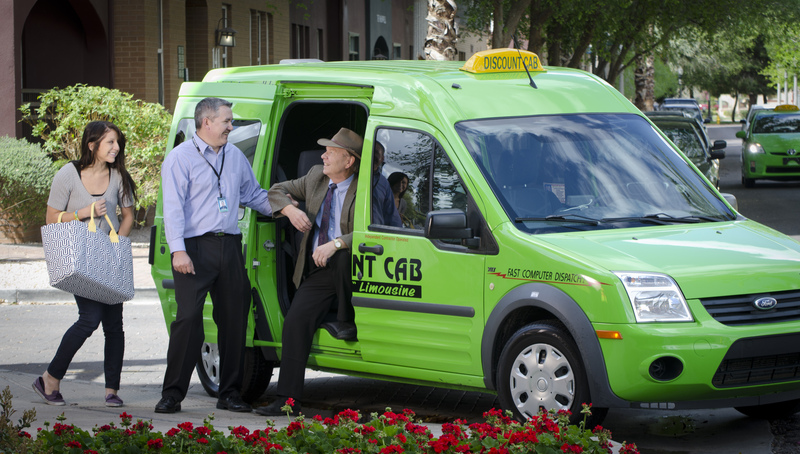 It did not scale up well, however, and was recently replaced with the East Valley RideChoice Program, which provides seniors and disabled adults with discounted cards for taxi service. RideChoice participants can receive up to $100 of taxi service per month for either $25 or $30, depending on their city of residence. One challenge to making smaller communities more walkable and pedestrian-friendly is that most small towns are built around highways. In fact, unless a bypass has been built, the main street of a small town is also typically a highway. This creates a conflict between groups who want to move vehicles efficiently and groups who want pedestrian-friendly downtowns. Added a functional classification to the Oregon Highway Manual for the portion of roadway that runs through small towns. This functional classification has very different design standards that can accommodate walking, biking, commercial activity along the roadway, parking along the roadway and many other small-town needs. 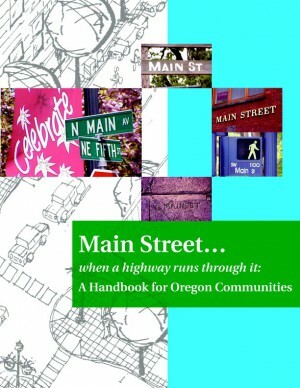 “Main Street: When A Highway Runs Through It” was written to help local governments understand their options for creating a multimodal environment and better advocate for their interests with the Oregon Department of Transportation. The document explains ODOT funding processes and shows examples of design options. Local governments can then adopt these elements and standards into their local plans, which ODOT must work with when doing highway improvements. Clinton, Iowa, is a city with a population of 27,000 on the Mississippi River in eastern Iowa. In 1995, the rail yard closed, which provided an opportunity to redevelop land. The city created a comprehensive long-range plan that included remediating soil contamination, purchasing land for redevelopment, realigning two streets and increasing transportation choices with a “complete streets” design. The reclaimed land will support a multi-use path, sidewalks and connections to cross streets. Approximately $50 million has been secured for the project. 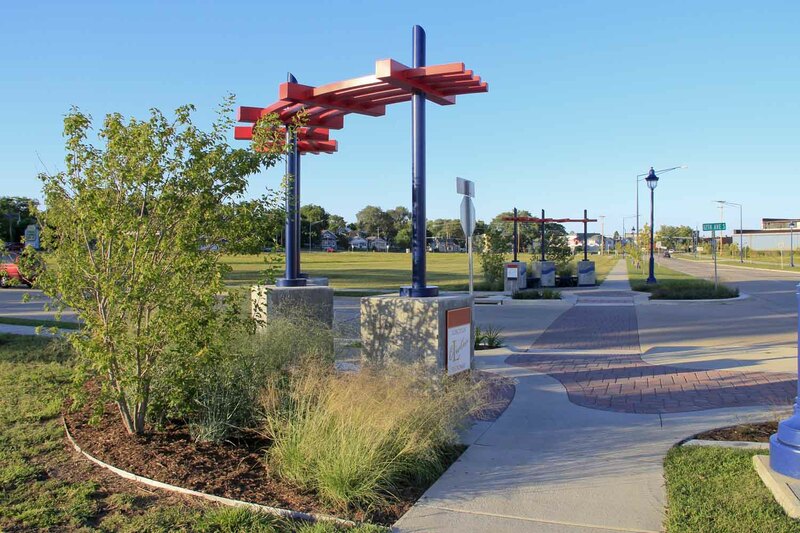 A $2.7 million Transportation Investment Generating Economic Recovery (TIGER) grant was also received from the U.S. Department of Transportation in 2012 to pay for a multi-use trail with a direct connection to the Mississippi River Trail, decorative lighting and plantings. In the future, land will be sold for higher density, walkable development. A look at part of Clinton, Iowa’s redeveloped old railroad area, now called Liberty Square. Concurrency laws, which require capacity in governmental systems (either planned or existing) before development can occur. If capacity does not exist, development cannot occur. In the state of Washington, a number of cities use concurrency to set transportation fees paid by new development. Bellingham, Washington, uses this kind of system to raise funds for transportation projects. Development impact fees. Contra Costa County, California, has a capital plan for transportation improvements and sets a fee that is paid by new development to fund that infrastructure. Fees vary from under $1,000 to over $15,000 depending on where new development is occurring. The county expects to raise more than $845 million in transportation dollars from 2014 to 2030 using such a mechanism. Allowing local units of government to create special districts to fund transportation projects.